You don't have to stop using the Navbar plug-in or tabs, they should continue working just fine, but it's very likely you'll want to migrate you application(s) at some point to theme 42 and when you do you should probably move to the builtin Navigation Menu. The Navigation Menu is a beautiful work of art that blends seamlessly with theme 42. It can be displayed either on the left hand side (the default) which is becoming the norm in web apps or along the top which would mimic the tabs of old. 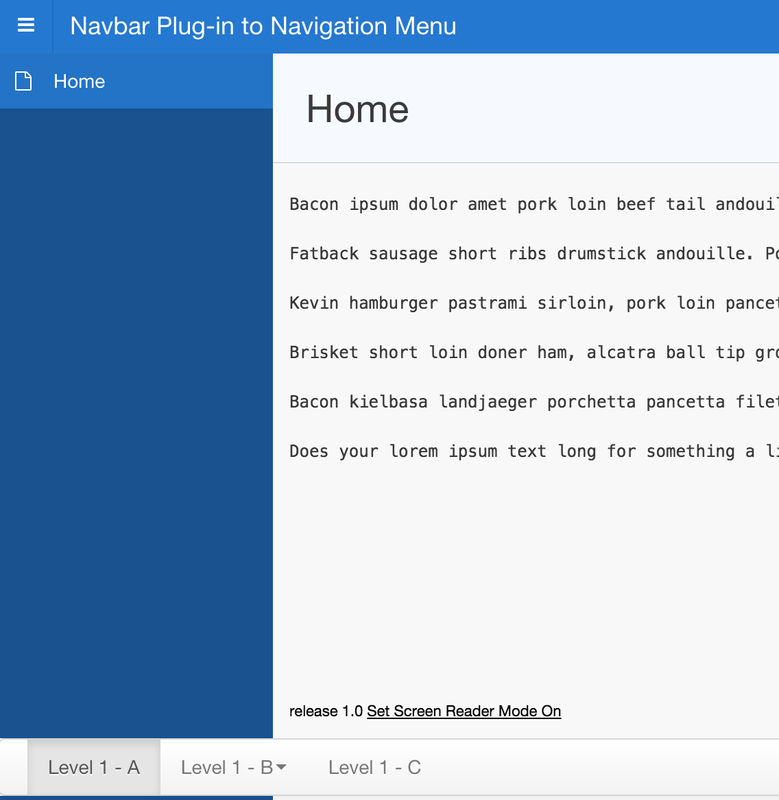 In the following tutorial, I'll walk you through the steps involved with converting an application using and old theme and the Navbar plug-in to the theme 42 with the Navigation Menu. Here's a link to the demo application if you'd like to import it into an APEX 5.0 instance and follow along. Set Currently Active Theme to the theme you're currently using. Set Switch to Theme to 42. Universal Theme. Do your best to select templates in the To Template column based on the From Template column. If you don't see a good option make a note of it as you'll need to review and potentially fix later (not covered in this tutorial). I just left all the defaults. Sweet, check out our fancy new application with the navbar hovering in an awkward part of the page! 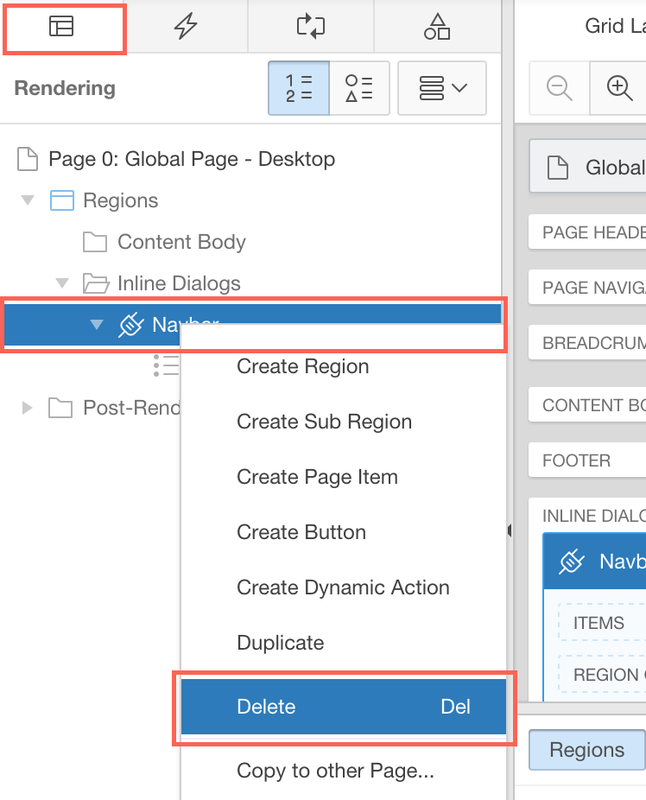 Right-click on the Navbar region and click on Delete. Click Save (upper right-hand corner). At this point, unless you've used the plug-in more than once in the application, you should be able to delete the plug-in (not cover that in this tutorial). Click the "edit" button (paper & pencil) for the Desktop user interface. 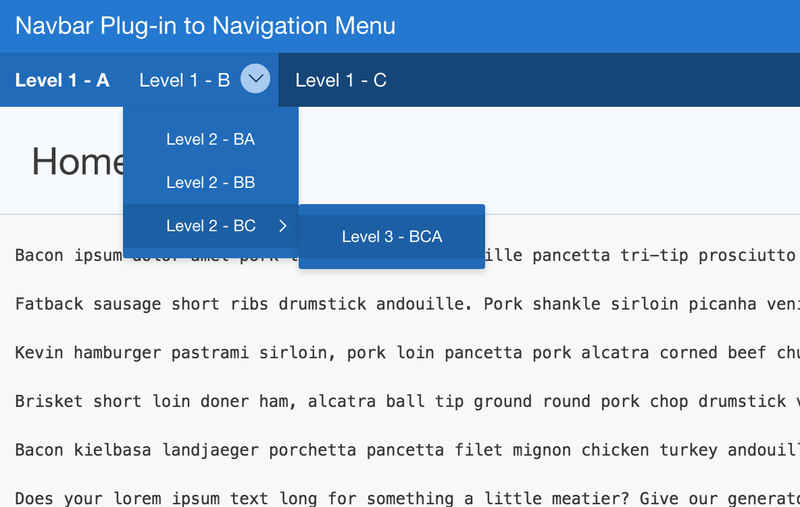 In the Navigation Menu region, set Navigation Menu List to Navigation List. As you can see, the menu is still on the left rather than the top as it was with the navbar. No worries, we'll change that shortly! I just wanted you to know that this is an option and a good one at that. 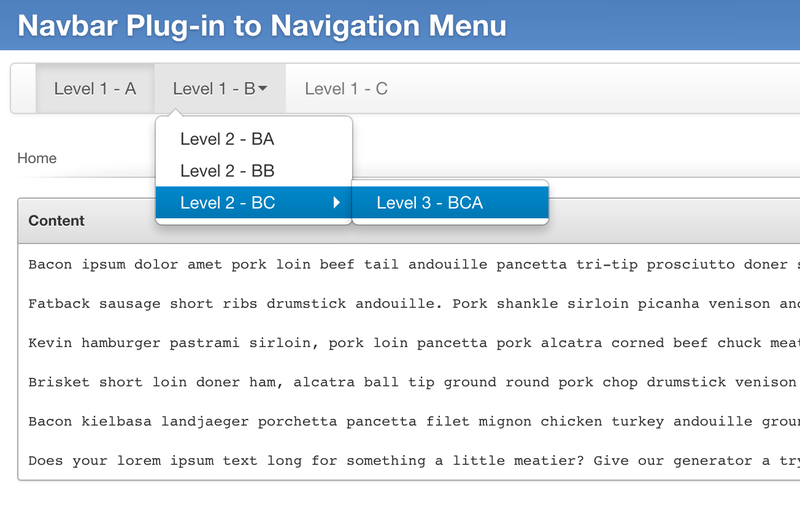 In the Navigation Menu region, set Position to Top. 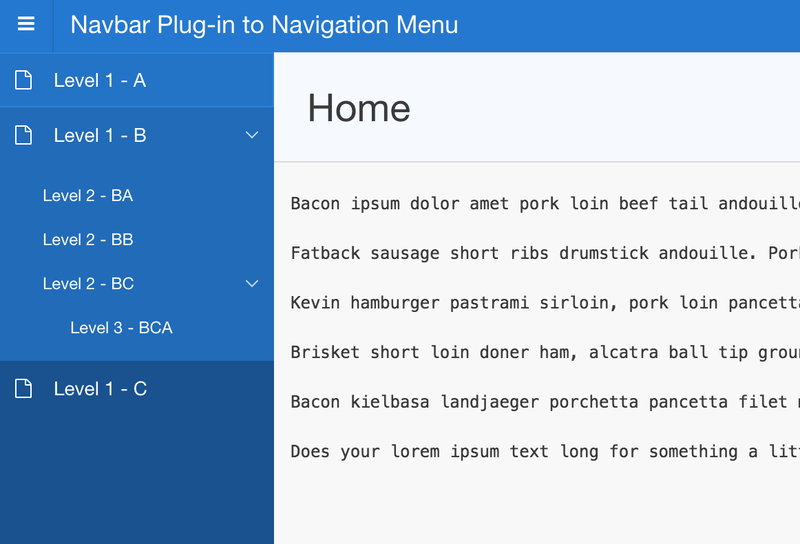 Set List Template to Top Navigation Menu. That's it! We now have one snazzy looking application!